© Spirit Horse Center Inc.
> Compost and Manure FREE! At Spirit Horse Center, our state-of-the-art facilities were designed and built to ensure that the horses boarded here are comfortable, to give riders easy access to their horse and tack, and to provide a spacious and safe environment in which our guests can either ride or learn about horses. We have some of the best indoor and outdoor boarding services available in the Brainerd Lakes Area. Our facilities are clean and safe, with customized care available. The horses are closely monitored, well-cared for and receive ample hay and water each day. We also have wooded trails on our property that customers can use. Outdoor Boarding – Horses that are boarded outdoors have access to hay, salt and mineral blocks, spacious Hi Qual Turnout Shelters to protect them from the weather and an automatic watering system. The pastures feature ultra-safe Electrobraid Fencing. Blanketing is available. Indoor Boarding – Our indoor stalls are cleaned daily and feature climate control and a wash rack. Horses are turned out into the pastures daily, brought inside for grain twice, and receive hay and water multiple times. Private Paddocks – Private paddocks and individualized medical treatments are available for horses that require special care. 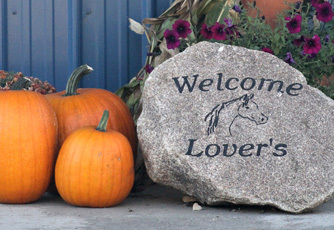 We also provide short-term boarding for vacation stays and for horses that require medical care. Our heated indoor riding arena is a comfortable and safe environment for riding, training, exercising and events. At 160-by-70 feet, the arena is spacious enough for comprehensive individual training programs as well as for group riding instruction. The arena is well lit and the footing is easy on horse and rider. Our outdoor riding arena is 180-by-70 feet and is perfect for training, riding instruction and events during favorable weather. Like the indoor arena, the outdoor arena has special footing that’s professionally installed. Our two glassed-in viewing areas overlook the riding arena and give spectators a birds-eye view to watch activities from above in our mezzanine area or directly in front of the action in our ground-floor clubroom. A spacious classroom is available to groups for activities or events, including birthday parties, classes, meetings, etc. The room is rented at affordable rates by the hour or by the day.